we love to thank our family and friends WHO BELIEVED IN US RIGHT FROM THE BEGINNING. Weather WAI cannot be hidden, we're not certain yet, but we're working towards it. This Great Big Adventure requires lots of faith from God and people who'd stand by us, believe in what we do and continuously injecting great encouraging lessons that accompany us through the valleys. My man in the shades -- my personal photographer / Technical Officer, but greatest of all, he's my greatest supporter:- emotionally and financially (yes, thats right, cos without him saying just do what you enjoy doing. If you being in money, good, if you don't, not to worry) I can never be brave enough to to this. Thank you so much!! What'd I do without you! 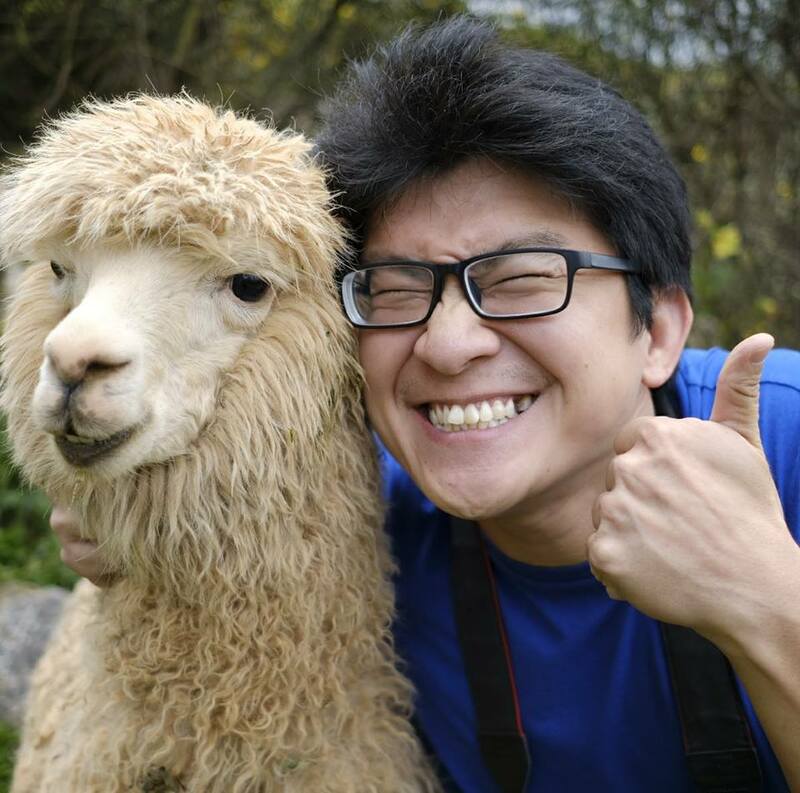 Together, we've produced many awesome and fun photoshoots photographed byjameslee. People used to say it takes a "kampong" to raise a family and I cannot agree more. Besides the many childcare services they provide, they always make me feel incredibly loved when they cook my favourite food and according to my children, its the best!. They've taught me so many life lessons, one, in particular, would be to keep on pressing on, no handwork, no reward. I'm extremely grateful! This cheerful girlfriend of mine, a super mummy and an excellent wife inspired me eight years ago to create handmade crafts! This photo was taken at her craft booth then. Thank you, Gladys Phan! She started making monster stuff toys out from socks kikeinosocks, photography capturedbygladys and now sixteen ounces selling craft beer. There's a saying:"do not despise humble beginnings!" and this family friend stood with us through thick and thin.. from working through the night to taking care of our boys. We're just so touched by all the kind gestures, yet not asking for anything in return. You're a prayer warrior sent to us. Whenever I needed the assurance, you'll seek God on our behalf and speaks wisdom into any situation, and by His grace, we'll overcome all obstacles. Thank you for loving us so much. 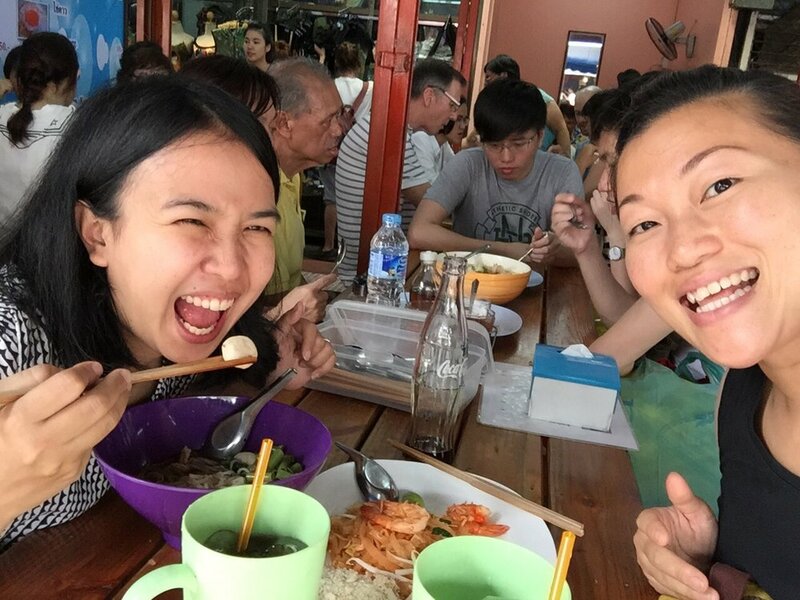 Although we had some language barrier, this big sister from Chang Mai demonstrated such great love for our God by using her talents for His purpose through We Are In Bloom. She showed me her favourite go to places for all the material purchases, taught me how to sew my first bag pocket, how to make and sell bags, do up wedding decor and be a blessing to others. Grace always understood what I meant when I showed her my sketches, and we spoke through drawings with mutual understanding. Nana is our hands-on operation in-charge. She's super meticulous with all handcrafted details, and I'm so blessed to have you in the team. This is the happiest-go-lucky friend I have. Even if the sky should fall, Melvin would always choose to look on the bright side and find a solution to any problem! Our friendship traces back to the time when we'd slam and pin each other down on the tatami. That was fun! 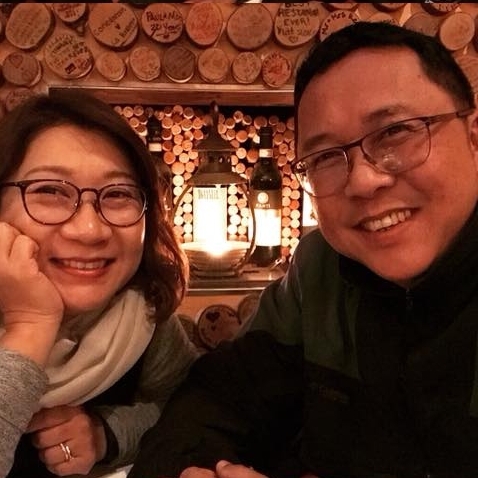 A well-known photographer and owner of 2470mm Productions Wedding, he'd still find time to meet me, teaching me "how to start up any business and be wiser!" I'm ever so grateful for you, Melvin. Founder of The LOOMs Workshop, and my first friend from my first craft fair, I'm inspired by the excellent work she's doing to impact the lives of underprivileged mothers locally. Not only was she able to educate, but also carefully handcrafted accessories has also helped earn the ladies fair wages. 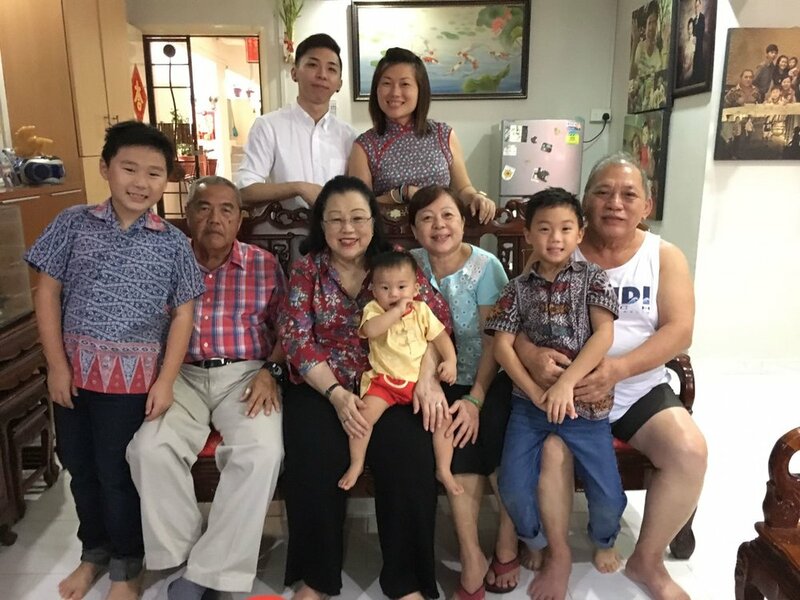 My cousin-in-law, mother of four beautiful children, directors of two hotels, namely The Ranee and The Marian Boutique Lodging House in Sarawak, Kuching, Malaysia. She works with local Sarawak communities, developing a brand of products for The Ranee. She was the very first person who suggests I should make the Pom Pom wreaths to sell and start a business. Since then, I've made ten variations and counting. 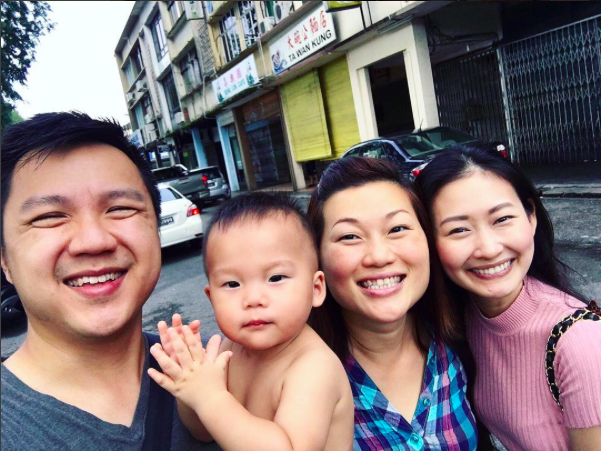 My cousin-in-laws from Brunei, they have given me my great business advice, but more than that, living their lives as a servant leader in His kingdom serves a great example for me to follow. 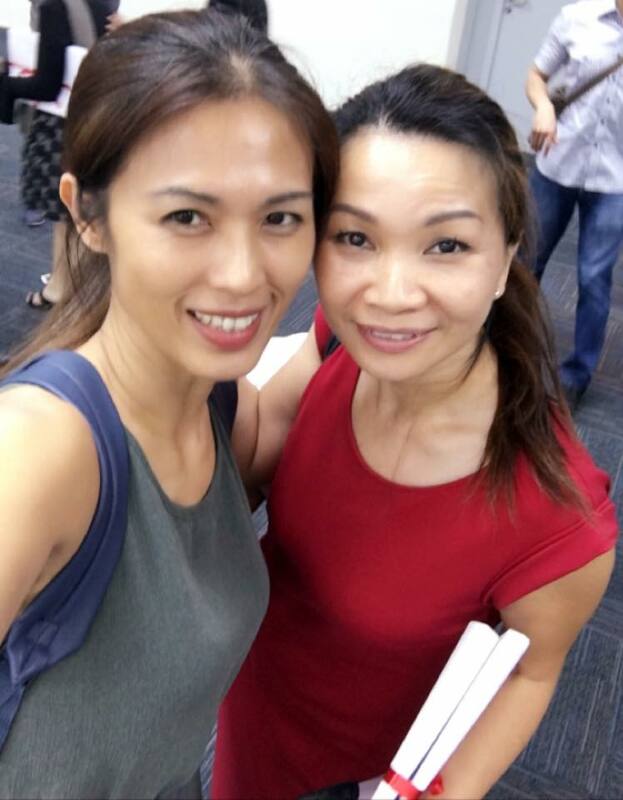 Thank you Adeline Jie for your kind and gentleness and always speaking wisdom into my life. 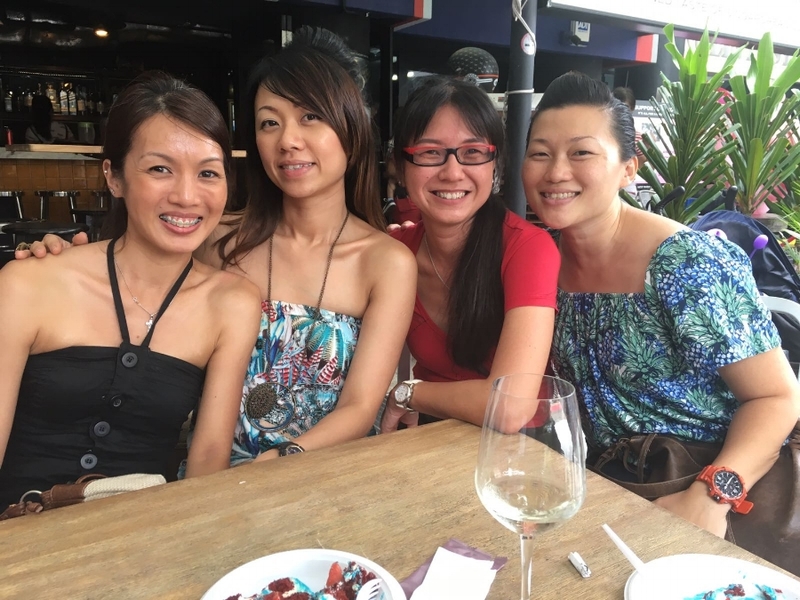 Lilian (right), Founder of Class Furnishings connected women from all walks of life together through a WhatsApp support group and since then gathered a bunch of us to teach underprivileged women how to sew and provide job opportunities for them. Yenni (left) has also been a great supporter of WAI's crafts. Sometimes you just need a little nudge to push you forward. You'd probably know who she is without much introduction. 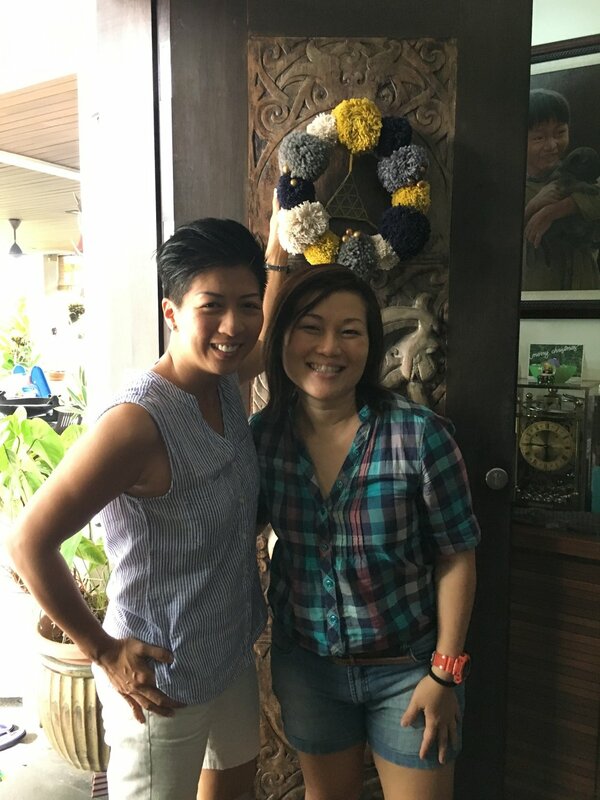 This slender lady, packed with so much passion for others, she not only owns one but two social enterprises, Haute Alteration Initiative and New Rasa Singapura. With just a casual chit-chat, she's able to stir you up like coals on the fire. I dream that someday down the road, I'm able to work with the less privilege as well as to transform the WAI craft into a social enterprise. WENDY from Ambience Lightings and Atmosphere. My cousin-in-law's sister-in-law. That makes us distant cousins! Wendy like myself has three children. 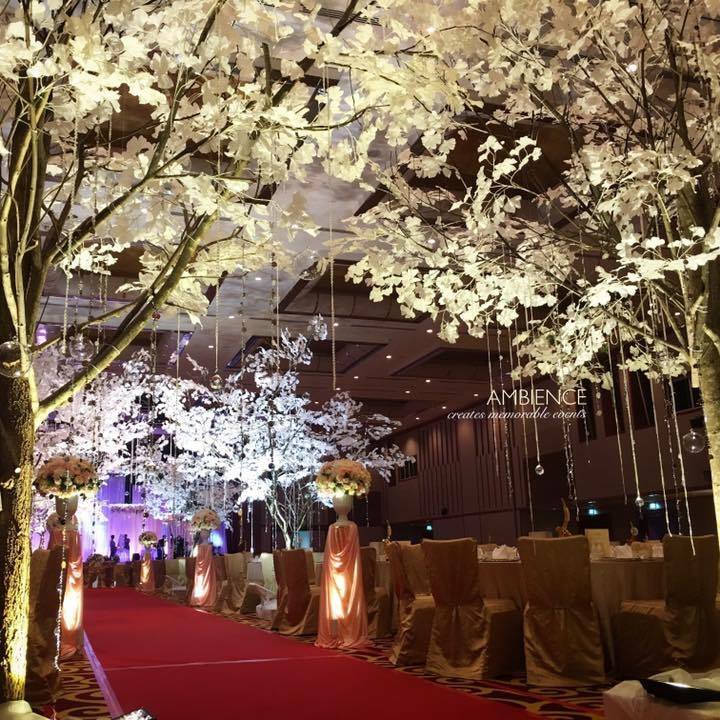 Even though she runs a very successful and professional events decoration company, she still finds time to answer my business-related questions. I look forward to having such an extensive portfolio down the road. 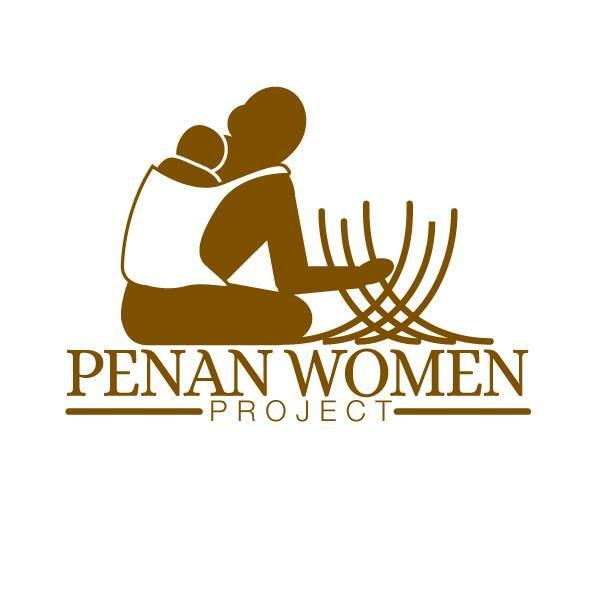 The woman who runs her own business and still finds time to design and work with the ladies from the Penan Women Project to come up with hand-woven bags that are so stylish and provides jobs for the women. Ann inspires me to run a social enterprise someday.